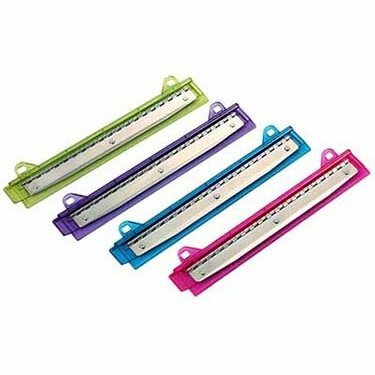 Steel punch heads slice through up to 5 sheets of paper. Convenient design fits in standard 3 ring binders. Integrated standard ruler for quick measurement. Compact size is easy to store or travel with. Comes in four fresh assorted colors.